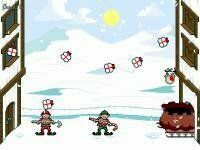 Santa Claus in Trouble is a game that I thought would be a waste of time. But I was pleasantly surprised when I started playing. The graphics are good, even though they're very repetitive, and the controls are simple, if a bit wonky. But as I kept playing, the game's problems came into focus. The enemy AI is terrible, following the scripted paths of gaming past, and the collect-a-thon gameplay gets old fast. Also, the game is very short. I beat it in less than an hour. Still, if you're young, want a quality Christmas game, and you don't care about the problems listed above, then Santa does little to disappoint. 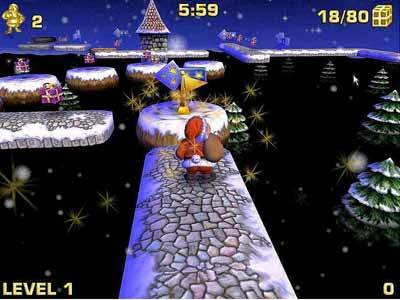 Santa Claus in Trouble is an excellent 3D platform game with great graphics. 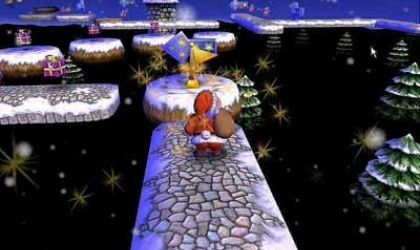 You play as Santa and must go retrieve all the lost presents in order to save Christmas. 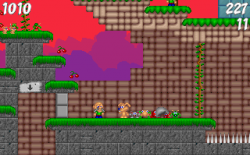 Along the way you will have to use your skills to kill many creatures and jump from platform to platform without falling. Some of these creatures include trolls, snowmen and many more. There are checkpoints along the way, so if you die you will start at the last checkpoint you reached. 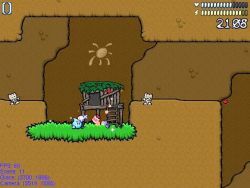 There are 10 great levels to play. It is a real fun game and addictive. Graphics are awesome. Only negative I have for it is that there is NO Save Game option. That is frustrating when you get so far to loose that last life and then have to start again right from the beginning of the game instead of the level you're on. Every game should have a Save Point! You're santa going round collecting presents. For anyone who's played snowfight 3d they'll notice the simalirities. The only bad things are that they should of included a map editor and the graphics messed up my pc and I see white squares falling from the sky instead of snowflakes. I cant get my head around the brilliance of this game, I bought a game last month that cost me £20 and I still play the Santa game more! 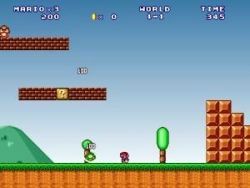 I know you cant save, but that's the hole fun, trying to get to the highest level, with only a limited amount of time! This game is great - it has super 3D settings and the gameplay is fun. Once you start you will not stop. Super colors and it takes you back to your childhood. It's fun for all ages. It puts you in the Christmas mood without a doubt. It's great! It's a really great game and exciting for the kids. Lots of interesting levels to go through and some monsters aswell. I know lots of people who have played the game and it looks really exciting. I just love the game.